I mentioned a few weeks ago that I had purchased the Tarte Amazonian Clay Full Coverage Foundation, and Airbrush Foundation (aka powder foundation) after hearing a few of my favorite beauty YouTube’ers rave about them. I love Tarte as a brand, and have really enjoyed many of their products over the years, so I had really high hopes for both of these products. I have been using both for awhile now, and feel confident that I can give a pretty honest and full review of each. Before jumping into either product, let me (for the millionth time if you’ve been following my blog for the last year) tell you a little about my skin type. I have dry/combination skin, leaning more heavily towards dry. 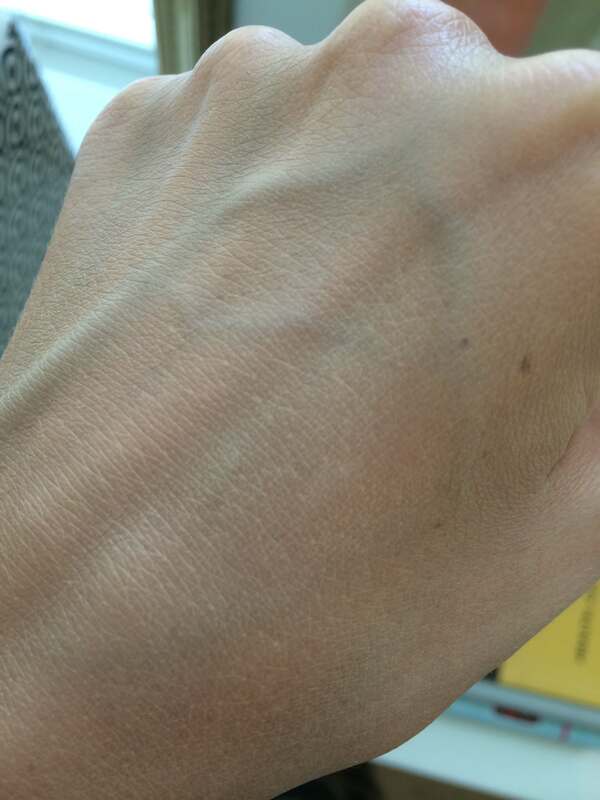 I have very thin skin which shows veins, freckles, and scarring very easily. I exfoliate my skin 3-5 times weekly using either a mask or bead/scrub exfoliant to remove dry skin, which prevents me from having too many dry patches. I use heavy moisturizers, particularly around my eye area. With that said, lets jump into the cream foundation review first! Closer look at the photo 4/4 from above (same photo, just rotated). Creamy foundation finish. As you can see, the cream foundation is very thick and (no surprise) creamy. I would say this is a medium-full coverage foundation, very buildable, and creates a very airbrushed effect like it claims. The foundation dries very soft, and almost powdery to the touch, and leaves a natural-matte finish. I haven’t had issues with breakouts while using this foundation, but I did use the Hourglass primer as a base before every application. I only noticed patchiness after 8+ hours of wear, if ever. The cream foundation offers SPF 15, and is oil-free. I wear color light-medium sand. So…I like this foundation…but I don’t love it. For someone with combination/oily skin I would definitely recommend this, but for anyone with much drier skin I would stick to a more radiant foundation like the Nars Sheer Glow, or even a more natural setting foundation like MUFE HD foundation. I found that the Tarte cream foundation settled into fine lines, and emphasized blonde baby hairs on my face around my hairline. 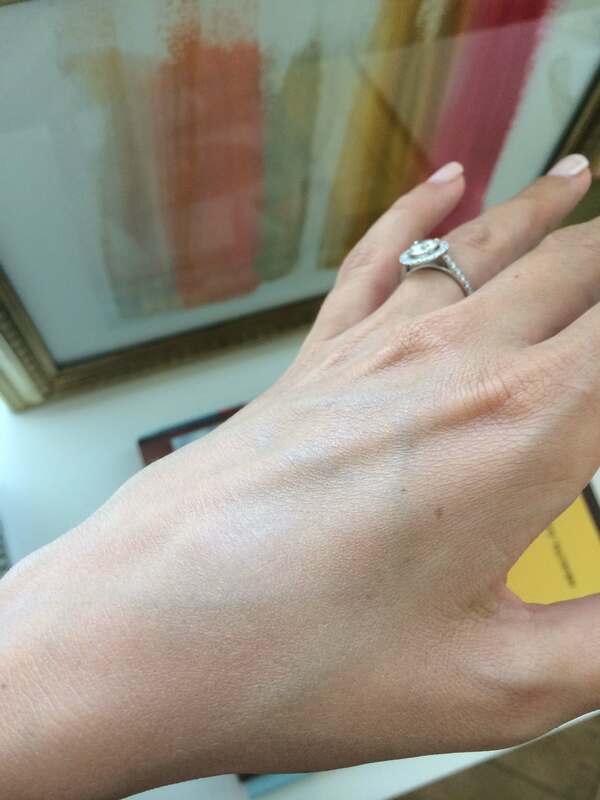 It aged my skin because of how matte it looked on my already dry skin, and I found myself adding Becca Shimmering Skin Perfector to it (before applying) to create a slight glow. There is absolutely nothing wrong with this foundation, and I think it’s a great product for some people, it’s just not for my skin type. I have used Bare Minerals powder foundations in the past and had really great results, but always felt like the powders were sitting on top of my skin, so I wanted to try the Tarte powder in comparison. In a nutshell, they are two very different products. Where they Bare Minerals provides a medium coverage, the Tarte provides a light-medium (buildable) coverage. Where B.M. 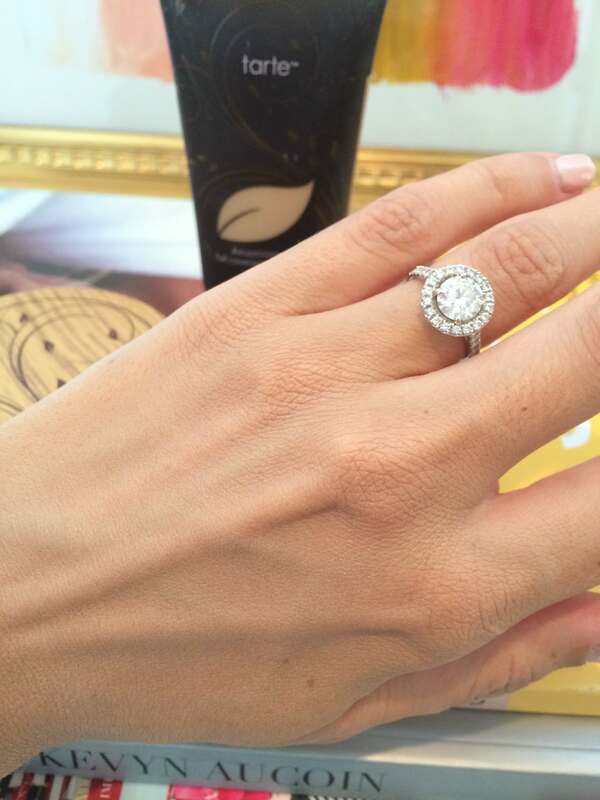 has a matte finish, Tarte has a more glowing, slightly shimmery finish – not everyone’s cup of tea. 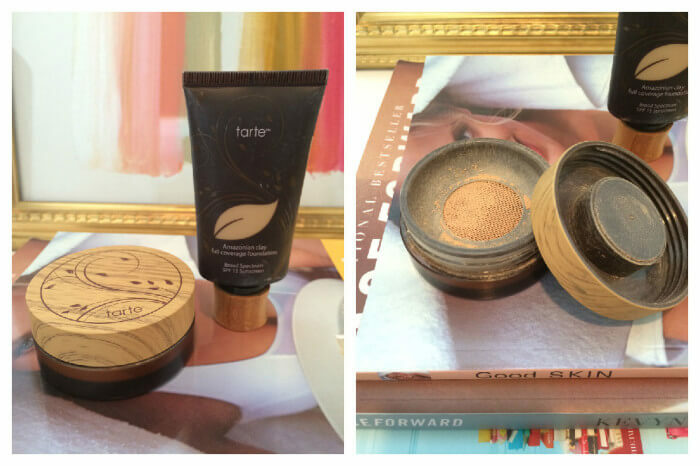 Both products sit on top of my skin to a degree, but less so with the Tarte powder. I appreciate the range of colors available in the Tarte line (I wear light-medium neutral). Here’s the finish of the powder foundation. As you can see, there is some settling into fine lines, and it emphasizes my dry skin. This is the best photo I could capture of the “shimmer”/glow the powder foundation has. Because I have drier skin I actually enjoy the slight glow to my foundations, but someone with oily skin or acne may not want attention drawn to those areas (which shimmer does – hence why we use matte concealer on blemishes). Similar to the creamy foundation, the powder formula lasts all day. These two foundations are really incredible paired together when you’re looking for a full coverage, flawless, airbrushed face. I wore them together to a wedding, in 75-80 degree heat, for hours and had great results. You can see what it looked like here. I also sprayed my face with the Urban Decay Chill setting spray, as well as my husbands face because he sweats like a whore in church even when it’s only 65 out. I hope that helped to answer some of your questions about these products. If any of you use either of these, please leave a comment below letting everyone know what YOU think of them, because they will work differently on everyones skin. Also note your skin type if you leave a review.